The World Health Organisation has called stress ‘the health epidemic of the 21st Century’. 1 in 5 people have visited their GP for a stress-related condition in the past year and 85% of us are experiencing stress regularly. There has been a lot of information published about stress in the past few months whether in books or on TV. In his latest book entitled “The Stress Solution”, Dr Rangan Chatterjee writes about Micro Stress Doses (MSD’s) and emphasises how, in an era of information overload, work overload, sugar, alcohol and sitting on our backsides all day long, it is virtually impossible to avoid them. MSDs can start from the moment our alarm goes off first thing in the morning to getting stuck in traffic commuting to and from work, juggling work and family to trying to make ends meet. The more MSDs we experience in our daily lives, the lower our stress threshold and the more likely we are to overreact to stressful situations by coping badly, getting angry, anxious or depressed. 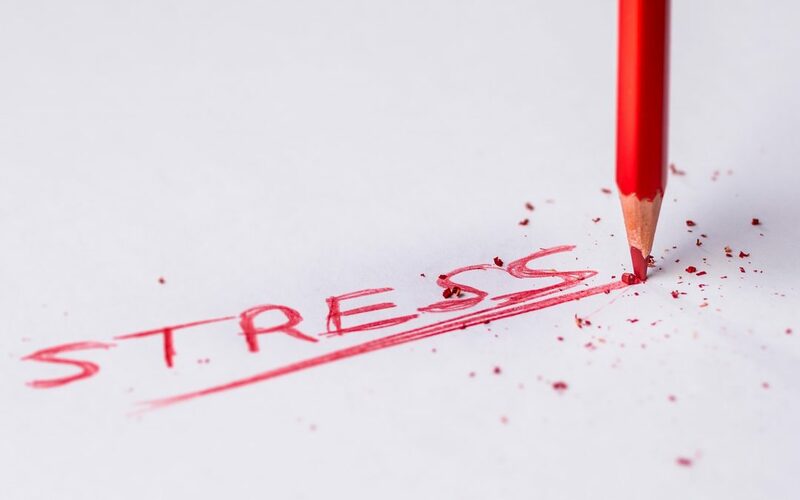 In the TV programme “Your Body Your Stress” ITV’s Science Editor, Tom Clarke, investigated the effect that stress has on our bodies. He followed three people who underwent simple interventions that showed how stressful situations effect our cortisol levels (the stress hormone) and how simple measures can reduce stress. What are the consequences of long term stress? Stress can have devastating long-term consequences for health. Too much of it contributes to the development of obesity, type 2 diabetes, high blood pressure, cardiovascular disease, strokes and Alzheimer’s disease. Stress is also a key player in insomnia, burn-out and auto-immune disease, as well as many mental health disorders such as anxiety and depression. I personally first became aware of the effects of stress through my training and research. I knew that stress was a killer but it wasn’t until recently that I experienced the negative effects of chronic stress first hand. I’d always known positive stress which had helped me to survive difficult times and experiences during my work and travels overseas. Stress also helped me to push the boundaries of shyness, fear of public speaking and life as a Solopreneur. But December last year I experienced the negative side of stress that impacted my mental, physical and emotional wellbeing – and hence my daily life. I had had too many micro stress doses leading up to Christmas – probably like a most of us: working long hours to wind up the old year and to plan for the new one. And then there was the Christmas shopping that we’d left until the last minute and the pushing and shoving of other people in a similar situation. Then the final straw! On Christmas Eve I decided that I would upgrade my iPhone, from which I not only run my business but would also have sent out Christmas greetings to my friends and family. Nightmare! Default modes were reset and Apps queued for what seemed like eternity to reinstall. So what? I hear the non-smart phone geek say. This was the final MSD that tipped the balance – my balance! I experienced panic, anxiety, brain fog, loss of memory, headaches, a feeling of being out of control and then finally my body gave in to illness. Now in 2019, not only do I know how to cope with stress but I also know that I need to apply what I know and teach to others to myself. So how do we keep negative stress at bay? In his book, Dr Rangan Chatterjee says how important it is to be aware of MSD’s that can start from the time we wake up. Here are just five of Dr Chatterjee’s many recommendations that he writes about in his book. How is stress effecting your life? What actions are you going to take to ensure that your health doesn’t suffer and you become a victim of the 21st Century’s biggest health epidemic? Last week I attended Dr Chatterjee’s Talk on “Stress” in Urmston and one of my biggest takeaways was his response to patients who said “but I’ve always done it and never had any problems”. 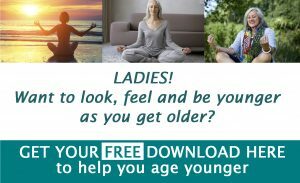 As we age, our bodies become less tolerant to poor nutrition and negative lifestyle behaviours and we find we cannot continue doing what we’ve always done and get the same results i.e. we can no longer get away with abusing our bodies! If you want to learn more about ways to combat stress then book in with me for a Discovery Session at The Sale Pilates Studio (www.salepilates.co.uk or to book a Discovery Session via telephone visit www.anitadawnwellbeing.com/contact/ to book your call now. Sessions are free and come with no commitment. Please share my Blog with anyone you think may benefit from it.